this was a fun project. I saw it on pinterest and had to make one too! Then i saw a different version on here and thought I would add mine. You can spend a lot or a little depending on where you shop for your supplies. my suggestion is hit the thrift stores and dollar stores to keep the cost down. 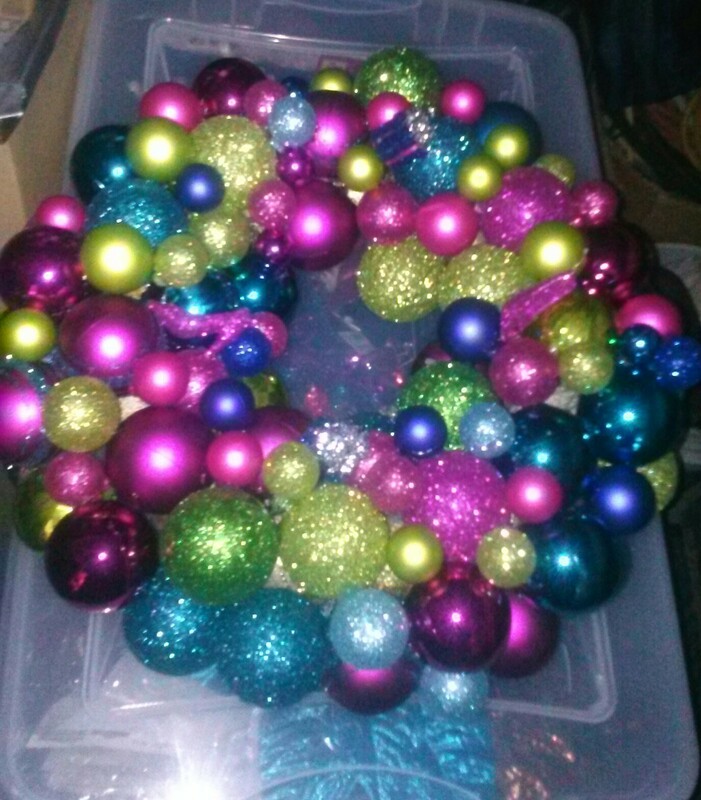 And have lots of different sizes of ball ornaments ! Tons of glue sticks! 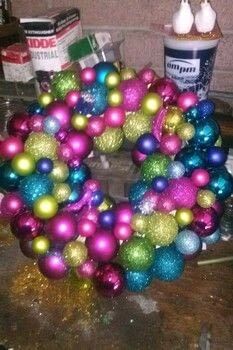 To make this just fill the inner and outer sides pf the ring with large ornaments and glue them in there places. take as many large ornaments possible to kind of build the wreath over the form. Then take the medium ornaments and fill in the spaces between the others and the next thing is to use small bulbs to finish filling in any gaps until a wreath is formed hot glue each bulb to the base first then to eachother.